Spiders are easily recognized by most people. They have 8 legs and lack wings and antennae. Spiders are not normally aggressive towards humans and will usually only bite when they are injured or trapped. All spiders have venom glands, but most of the spiders found in the Midwest have such feeble venom that its effects are insignificant. Black widow and brown recluse spiders are rarely found in this area. Many spiders in the Midwest construct webs. These webs are made to catch insects. Some spiders will build very simple webs and some will build very complex webs. All spiders spin silk but they all don’t make webs. Spiders can go without food for a long period of time, up to months at a time. Spiders will eat just about any insect such as flies, moths, millipedes, etc. Spiders will generally live in an area that is humid and has a regular source of drinking water. 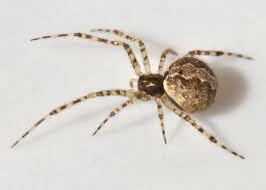 This is a reason that spiders are generally most commonly found in a basement, mechanical room, or boiler room. Another area that spiders are commonly found is in homes that are near the lake since these areas provide spiders with water and a high population of insects. Contact us today if you need help getting rid of spiders!